T&E Enterprises can repair or modify most brands of trailers, from single car bumper pull trailers to large multiple car semi trailers. We pride ourselves on fast, high quality repairs that will get you and your trailer back on the road with a minimal amount of downtime. 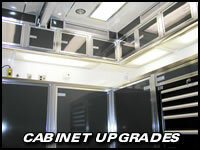 Since we are one of the leading trailer manufacturers in the industry, we have all the right equipment on hand to repair or modify your unit. From a simple brake job to extensive structural or suspension repairs, we’ve got the experience to do the job right! 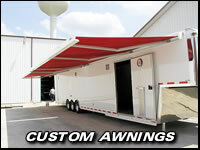 We also offer custom services such as lounge additions, custom cabinetry and other trailer add-on components. 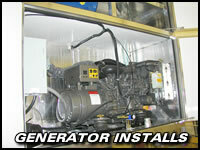 Dependability and Capability...just two reasons why T&E Enterprises should be your choice as a service facility! 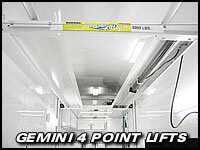 T&E Custom Built Rear Lift Gates are available along with T&E Custom 4-Point All Aluminum and Gemini Steel Interior Lifts. 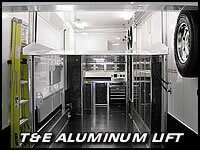 T&E Custom Interior Lifts are Available for Door Cars or Dragsters. 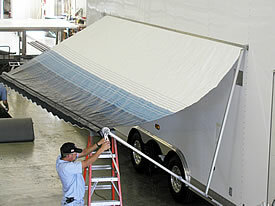 Call T&E today for a No Obligation Quote regarding repairs, upgrades or whatever your trailer service needs might be. You may also use our Online Contact Form to request service or repair work. 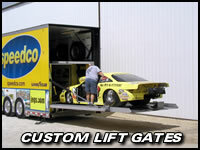 We service most makes and models of motorsports style trailers and have the experience to get the job done right the first time.